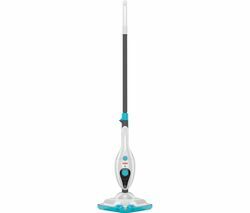 Harness the cleaning power of vapour with a Vax steam cleaner. Remove stubborn stains and dirt, tackle grease and grime head on, and get a wide range of household surfaces spotlessly clean with minimum effort. Hygienic, effective, and time saving, Vax steam cleaners heat up in seconds so you can start cleaning right away. 20 minutes of steam time means plenty of cleaning done before you have to refill it. 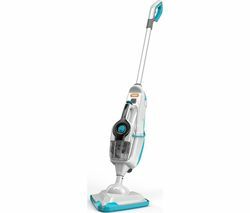 From steam mops for your hardwood, stone, or tile floors, to detachable handheld steam cleaners that make it easy to clean mirrors, ovens, windows, and more, Vax steam cleaners come with a range of practical accessories to meet all your cleaning needs.